A few days ago, we bounced off of support at 162. We were trending sideways for a bit, but we recently reached our new short time high of just below 170. 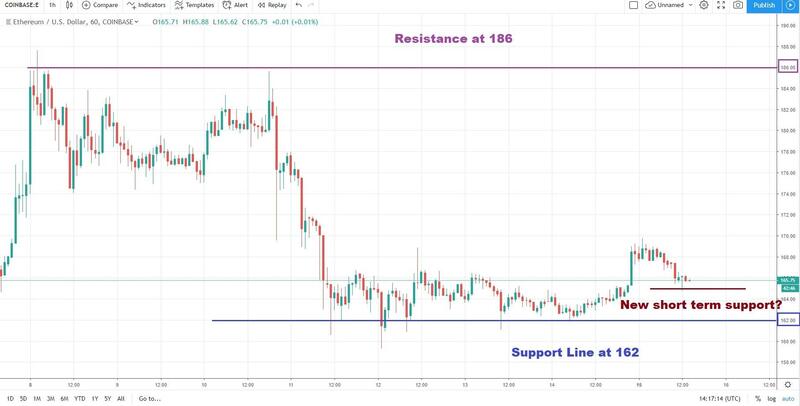 Going up: if the pin bar turns out to be a true bounce off of a newly formed short term support, we will be heading with higher highs and higher lows back towards 186. If we can crack it, we have a good shot right at 200. Going down: if we do not gain momentum from here with a higher high and a higher low, we will most likely head right back down to re-test our support at 162.